Ervin has served in Executive Business Operational positions for over 20 years, covering the High-Tech and Agro-Tech markets, working for Large Global Corporations as well as startups and filling positions ranging from Regional Responsibility to CEO. In the last Corporate position Ervin led half the business of the Netafim Group, covering the US, EMEA, Australia, Japan and Central Asia and served as a member of the Executive Management. 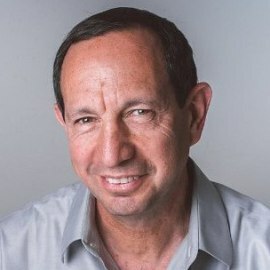 Prior to Netafim Ervin served as the CEO of BitBand, a technology company delivering a video over Internet solution to Telecom Operators, eventually sold to Motorola. Raised several rounds of funding from Tier I Venture Capital and Private Equity funds and built a technology startup into world leadership position in the emerging IPTV market. Before that Ervin held regional management responsibilities for the SGI (Silicon Graphics) EMEA Region and for Cray Research, the Supercomputer Company. Ervin is the CEO of Nurego a cloud software technology provider that offers a monetization platform for the Industrial IOT (IIOT), recently acquired by General Electric. Ervin is serving as Executive Board Member at Industrial (Water, Agriculture) and Technology (Internet, Wireless) companies and is a Venture Partner with Greensoil Investments focused on Agro an Food Tech investments. Ervin holds a B.Sc. in Computer Science from the Technion and an MBA from the Recanati Business School at the University of Tel-Aviv.